In the charming, sometimes surreal stadium experience of the FCS, you can find just eight venues with a capacity smaller than 5000. Most of them belong to teams from the Northeast conference, although the Big South has its representatives, with the Patriot League also included. A 4400-seater, Bulldog Stadium is home to the Bryant University Bulldogs who play in the Northeast conference. It opened in 1999 and despite its relative small size, its design is quite similar to that of much larger stadiums. Marty Fine has been the Bulldogs coach for the last 12 seasons, winning two conference titles in 2006 and 2007. 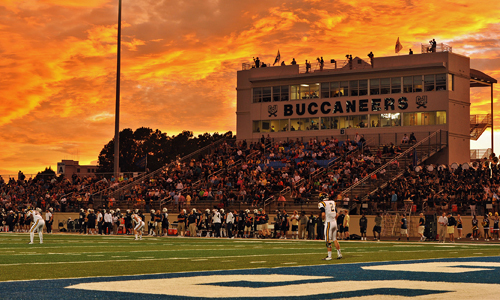 A 4000-seater it’s been the home of the Charleston Southern Buccaneers since 1991, although the stadium has been open since 1970. The Buccaneers play in the Big South conference, and have done quite well recently, making the FCS playoffs in 2015, losing to Jacksonville State in the quarterfinals. There were 8451 in attendance when they beat The Citadel, their biggest rivals, in the second round of the playoffs. 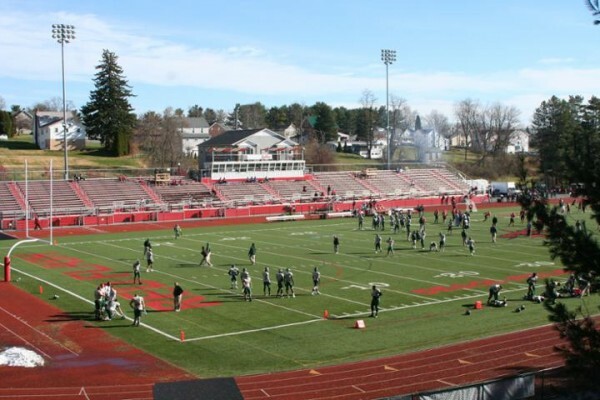 DeGol Field is the home of the Saint Francis Red Flash who play in the Northeast conference. It can seat up to 3450 fans, but last season they never broke the 1900 in attendance. It’s been their home since 2006, replacing the Pine Bowl, which served as the team’s home from 1979 to 2005. 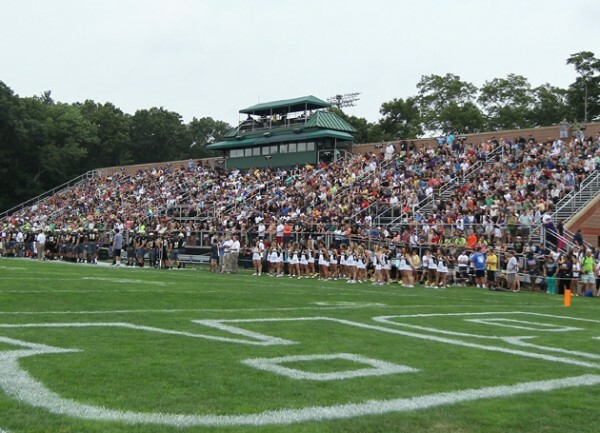 A stadium with a maximum capacity of 3300 has been known as Hamline Field since 2012 (in honor of long-time athletic director and head football coach Walt Hameline), earlier being Wagner College Stadium, and has been the home of the Wagner Seahawks since 1967. It underwent renovation in 1998 for $13 million. The Seahawks won just one game last season, going 1-10 (including 1-5 in the NEC) with 2812 in their home opener (a loss to Monmouth) being their highest attended game. 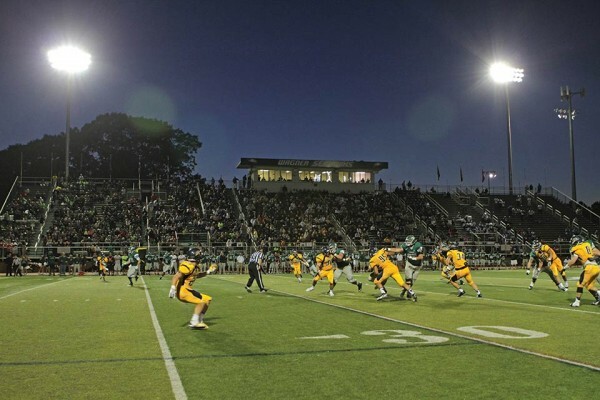 The Monmouth Hawks play in a 3200 seater, with the capacity reduced from 4600 in 2014. It has been the home of the Hawks since 1993, which was also the year Kevin Callahan, the team’s coach since 1993, took over on the sidelines. They were 5-6 last season, including 3-3 in the Big South. Over 3000 showed up to the home opener, a loss against Holy Cross. The Robert Morris Colonials play in a 3000-seater, opened in 2005. It’s named after the team’s head coach from 1994 to 2013, who was also a New York Jets head coach in the 1980’s, retiring as the winningest coach in NEC history. Robert Morris won just four games in 2015, with 2,248 showing up to home loss against Duquesne their highest attendance. Cooper Field in Washington, D.C.
A 2500-seater, Cooper Field is the home of the Georgetown Hoyas, playing there since 2005. The field was originally used for intramurals and was adopted for soccer in 1994 as Harbin Field. 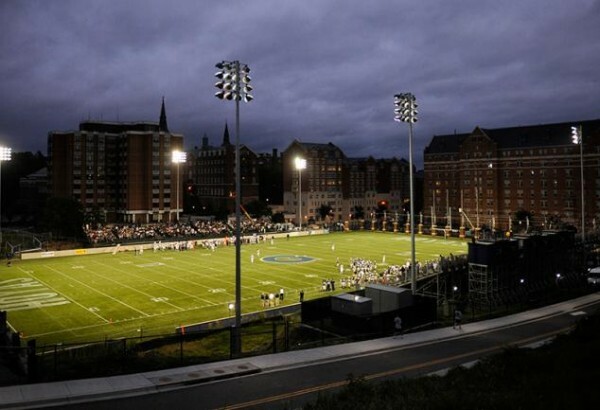 The name was later changed to the generic Multi-Sport Field until 2015, when Georgetown changed the name to Cooper Field in honor of a $50 million gift from Peter and Susan Cooper which funded athletic leadership programs at Georgetown and construction upgrades to the field. The Hoyas, playing in the Patriot League, finished with a 4-7 record last season, and had 5785 show up to their season finale against Holy Cross. 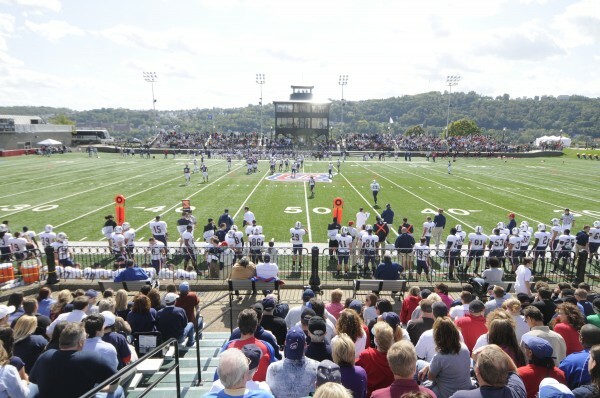 The smallest stadium in the FCS, Arthur J. Rooney field has a capacity of 2200 and has been the home of the Duquesne Dukes since 1993, when it opened. It’s name for Art Rooney, the founder of the Pittsburgh Steelers and a Duquesne alumnus. It could seat 4500 until 2007 before renovations, which included reducing the seating capacity. The Dukes won the Northeast conference title last season but lost in the first round of the playoffs to William & Mary.